The Lubar School of Business has been continuously accredited by AACSB International for close to 50 years, and is accredited for both business and accounting programs. 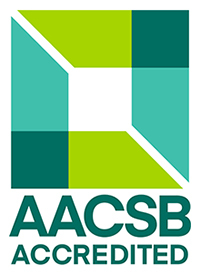 Just 5% of business schools worldwide have earned AACSB accreditation, which serves as the “gold standard” of business program accreditation. And only one-fifth of those have earned both business and accounting accreditation. The Lubar School of Business is home to approximately 3,900 undergraduate and graduate business students. Each year, over 1,000 students earn their business degrees from the Lubar School – and 75% of those stay in Wisconsin to live and work. The Lubar School is home to Wisconsin’s first Executive MBA program and one of the first in the Midwest, yielding a level of experience and expertise that executive students have come to expect. In 2019-20, Lubar students have been awarded over $1 million in scholarship support thanks to the generosity of our alumni and friends.